What types of expenses should you anticipate when budgeting for a business website? This overview will break down the cost categories and provides a handy spreadsheet for you to use when calculating your website costs. Note: for most of our examples below we are assuming a small-business marketing website (no ecommerce) of about 10 – 20 pages. We are also assuming that on-shore, freelancer rates range from $50 – $100/Hr and Web Agency rates range from $100 – $200/Hr. Domain Name: If you don’t have it already, go to google domains or godaddy and spend from $1 – $12 per year for the URL of your website. If the website URL you want is not available you may be able to find it through a domain name broker, but expect to pay a lot for it. Hosting: Unless your business requires a lot of bandwidth, this should be one of your lowest expenses. Basic hosting can range from $5 – $50 a month. Most hosting companies include email with your account or you can purchase it at a small additional cost. We prefer for our clients due to the added security and extra developer features ($12/Month). Backups: Sometimes backups are included with hosting plans, if not, you can purchase a backup plan starting at $5/Month through a variety of service providers. It’s cheap insurance and definitely recommended. We have a video that discusses this and other website “hard costs” if you want to learn more. Website Strategy: “Those who fail to plan, plan to fail.” This task includes the website Definition or Scope process. Basically you will need the help of professionals to determine what features you require and how best to present your business online. A Digital Marketing Agency should lead this effort since they will consider your brand and the competitive landscape in their recommendations. Strategy for a small business website can take from one day to a week or more to complete. Strategists usually include higher-level professionals so you can expect to pay more per hour for their guidance. Want more info? check out this video on website Definition. Logo / Branding: The logo and other branding required for your business. If you already have your brand formatted for online the cost could be $0. If you need to develop a logo and online branding, you can pay from $500 – $2,000 and up. For information on brand style guides check out this video. Content Creation: “Content is king” don’t forget it. Your website visitors are going to judge you on the quality and appropriateness of your content to answer their needs. Your website is composed of different types of content and the cost of each of these can vary wildly based on your business goals. Here is a list of the possible content you will need to create. For content creation tips, check out our website content video. Text: Everyone fancies themselves a writer but can they write compelling content that will motivate website visitors to action? A professional writer can edit rough content that you provide and create new content based on your input. We recommend that everyone have a copywriter review their content. Copywriters charge from $50 – $120/Hour. Figure it will take them :30 minutes to 1 hour to review and edit a page of rough copy (250 – 300 words). Graphics: These are illustrations that could break down a process or complex idea. Illustrations can also be brand-related. Icons are also considered to be graphics. You can hire a professional designer to create custom graphics or you can use stock art graphics at a cost of $10 – $50 each. A simple website graphic can take 1/2 hour to 2 hours to complete. Photography: Common images you may want are headshots of the company team, images of your facilities, products, etc. Professional photographers can range from $500 – $2,000 a day. Photo retouching may be additional. Stock photography can be a low-cost and adequate alternative for banner and branding purposes ($10 – $50 each). Make sure you own the license to use the stock image or else you could get a phone call from the lawyers over at Getty Images. Videography: More websites are depending on video to deliver their message. A professional videographer may charge between $1,000 – $3,000 for a simple one – two minute video. If you are just looking to add some extra punch to your brand, you could use a silent stock video loop in the background of your web page. Stock video starts at about $50 each. Interface Design: How can one place a fixed price on something subjective like design? This is easy, we do it all the time because we have a process and we outline the creative deliverables. Once we have the website strategy we can estimate the number of hours it will take to design an appropriate look for the business. It’s true that offshore designers can be found for $20 an hour (but this is not recommended since design quality and marketing aesthetics vary by culture and pay grade). Don’t forget that your mobile website differs from your desktop version and also needs to be designed. For our hypothetical, small business website, we are assuming 20 – 30 hours of interface design is required. Programming: The cost of programming depends on the complexity of the features on your website. In the planning stage you should have generated a website scope outline and other documents that will guide the website programmer. Offshore programmers can be found for $20 an hour, local programmers and agencies could charge up to $200 an hour. Since programming is a critical requirement it’s best not to bargain-hunt. For the purposes of our business website we are assuming 40 – 50 hours of programming. Content Entry: Depending on the amount of content you have, this can take several hours to many days. Content entry can be done by the client with the right training via the CMS (content management system) or by a lower cost individual. Figure spending $30 – $60/Hour. 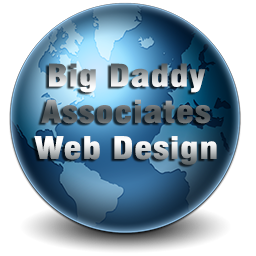 For a 10 – 20 page website, we estimate 8 – 16 hours. SEO: All websites should implement an SEO strategy prior to launch. SEO keywords and meta tags will need to be applied to all key website pages. Google Analytics should also be installed. The cost varies depending on the number of website pages but let’s assume 4 – 8 hours for a small business website to set up the basic SEO. Testing: Testing is a separate function from programming. You will want a separate person to test the website on variety of browsers and mobile devices to ensure that everything is looking and functioning correctly. Cost for testing depends on the complexity of your website. A website tester may charge from $50 – $100/Hour. Remember that whatever issues they find will need to go back to the programmers to fix. Marketing: Ongoing marketing (post-launch) is essential for increasing visibility. Once again the costs vary wildly depending on how proactive you want to be. For more information on small business marketing services click here. We also have a video on website conversions that you may find interesting. Enter in the approximate number of hours and your anticipated cost, or annual item cost, in order to get the website estimated cost.